Given as Vol. 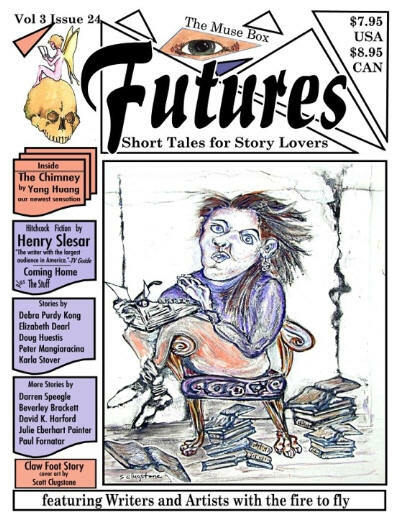 2 Issue 18 on the cover; given as Issue Number Fifteen in the Table of Contents. Details taken from Table of Contents. 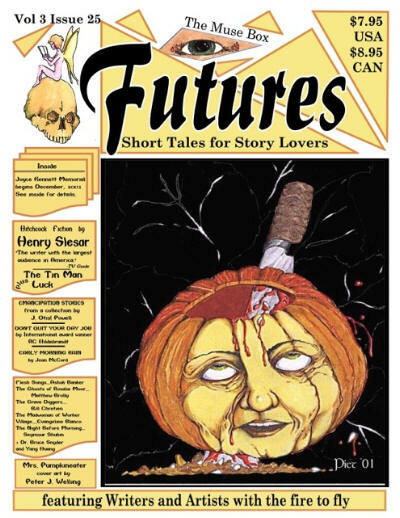 Brian Lawrence - Editor: Futures: Short Tales for Story Lovers, Oct 2000  Feb 2001. 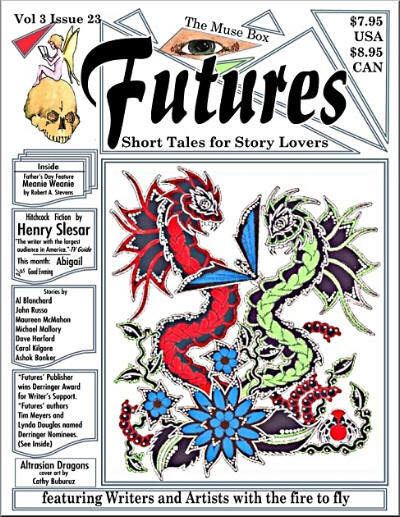 Earl Staggs - Editor: Futures: Short Tales for Story Lovers, Apr 2001  Dec 2001. Given as Vol. 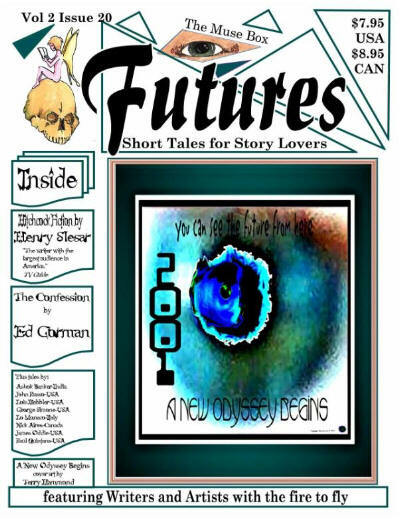 2 Issue 19 on the cover; given as Issue Number Nineteen in the Table of Contents. Details taken from Table of Contents. Given as Vol. 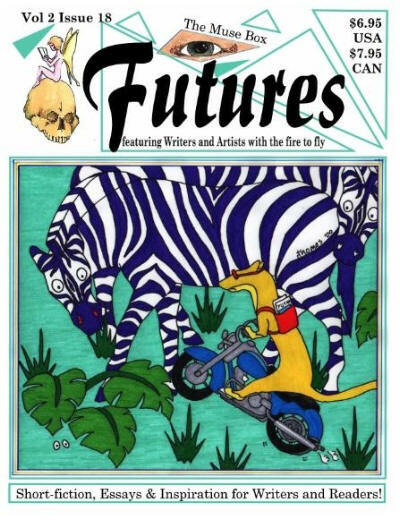 2 Issue 20 on the cover. Details taken from Table of Contents. 39 · Another Woman · Linda Minty · ss; given as Part 1 of 2 but no subsequent part published. Given as Vol. 3 Issue 22 on the cover. 76 · The Other Woman · Seymour Shubin · ss; edited. Given as Vol. 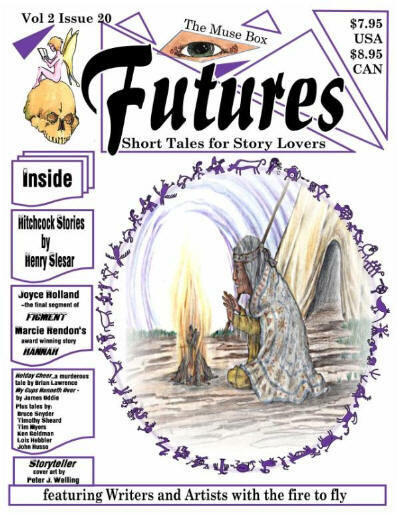 3 Issue 23 on the cover; given as Issue Number Twenty-Three in the Table of Contents. Details taken from Table of Contents. Given as Vol. 3 Issue 24 on the cover. 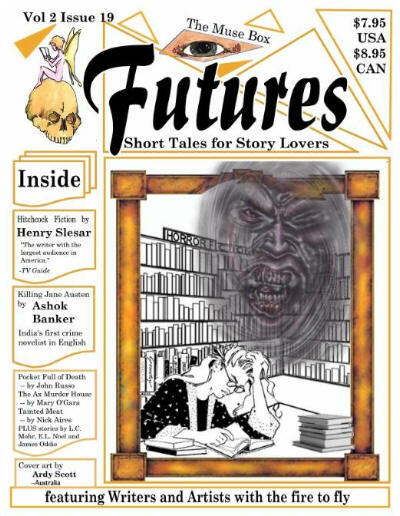 51 · The Other Woman · Seymour Shubin · ss Futures: Short Tales for Story Lovers Apr/May 2001; republished sans edits. 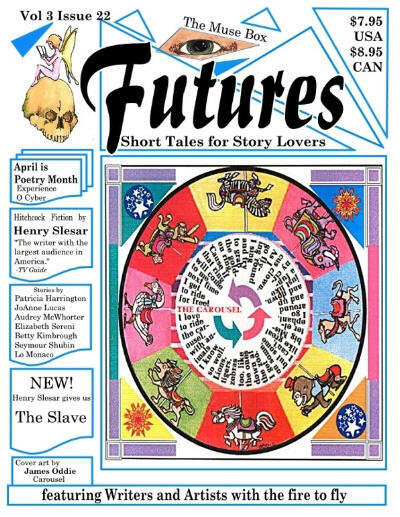 76 · A Man of Honor · Lo Monaco · ss Futures: Short Tales for Story Lovers Feb/Mar 2001; republished sans edits. Given as Vol. 3 Issue 25 on the cover.